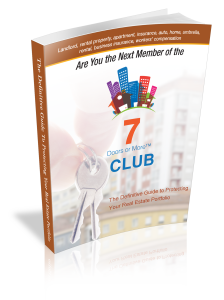 Are you familiar with protecting your investment as an experienced rental property owner? If you are in the process of renting out a new home as a landlord, it may be beneficial for you to purchase rental property insurance. The perks of having this type of homeowners insurance are important to consider in case of unexpected emergencies. You need to be aware of what paperwork you should fill out to protect your valuable belongings while tenants are living in the rented home you own. Read on to learn more about our ultimate guide to purchasing property insurance today to protect your financial investment. Homeownership rates continue to fall in today’s market. In fact, just about 63% of Americans are currently listed as homeowners. This means more people are deciding to rent homes rather than purchase them. Your renters should pay for renter’s insurance to cover their own personal possessions. This is protection for the personal belongings of your renters in case of a fire, theft, or other problems. On the other side, rental property insurance protects the actual rental building and associated property. This protects you, the landlord, in case of a catastrophe. It also gives you protection in case of liability claims if someone is hurt on the property. Landlords are not responsible for covering tenants’ personal property if something happens. That falls under renter’s insurance. However, the primary building and liability for something that happens outside a tenant’s apartment is your concern. This is why it’s vital to carry rental property insurance as a landlord. Let’s say things don’t go so well at your rented property while tenants are living there. For example, someone slipped while walking up the stairs to your front door. You can’t help the fact that they are injured because of this accident, but now you are held responsible. If this person requires serious medical attention, the accident may quickly turn for the worst. Landlord liability coverage will cover the medical costs associated with a trip to the hospital for the injured person, up to your coverage limit. The liability coverage will also come into place if the injured person decides to sue you. Court costs and lawyer fees can be significant in a legal case, and most liability policies include coverage for the legal fight. The insurance company has a strong interest in keeping the payout low, so they will use their resources to fight for you in court. Even if your rental property is currently vacant, you should consider having the proper insurance to protect it. The right insurance policy will protect other structures surrounding the property, too. These structures include sheds and garages. You can invest in an umbrella policy to have liability protection. The umbrella policy covers your assets in case of an emergency, like a fire or a flood, damages your property. If you live in an area that is prone to hurricanes or tornadoes, then having landlord insurance is important. Landlord insurance covers property damage that occurs because of these unpredictable storms. People living in the southern regions of the country, like in Miami, Florida, for example, should have invested in landlord insurance before this active hurricane season. Storms are always a concern each year, but insurance is there to save your property with replacement costs if a total loss happens to you and your family. In comparison to other coverage types, this insurance policy can cost you as little as a few cents per day. It can be as little as $15 per month, too. Don’t make the mistake of missing out on having valuable rental property insurance because you think you can’t afford it. Protect yourself from potential mishaps. The cost to make repairs on your property will increase if you do not currently have rental property insurance. Protect everything. The people living in your rental property would have their entire wardrobe, electronics, and expensive furniture protected for as little as $15 a month. Having a solid financial protection plan in the form of insurance can make or break unexpected expenses. Your family income is important to maintain. Adding on extra expenses would no doubt cause financial problems. 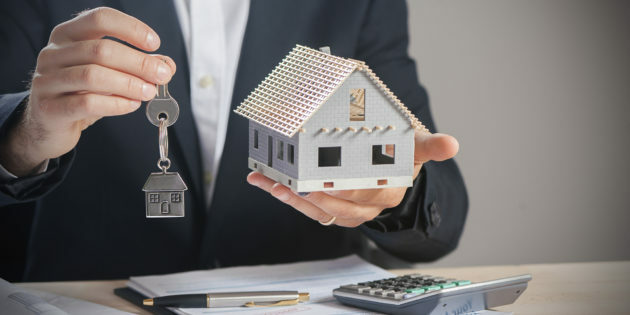 If you are interested in buying rental property insurance to protect your property, as with anything of high value, you should shop around for the best deal. Normally you wouldn’t buy the first car you test drove in the parking lot, right? There are so many insurance companies in your area to choose from. You need to read reviews and make sure the company you purchase the insurance from is dependable and professional, such as our team at Insurance by Castle. Once you understand who you want to purchase insurance from, go ahead and give them an e-mail or a phone call for more information. Some insurance companies offer landlord discounts, too. Remember, a website can only provide you with so much insight, so reach out by phone or e-mail to talk to an agent for more assistance. Our professional team at Insurance by Castle is committed to helping you find the best insurance policy to meet your needs and budget. We understand how important insurance will be to protect your property and assets.